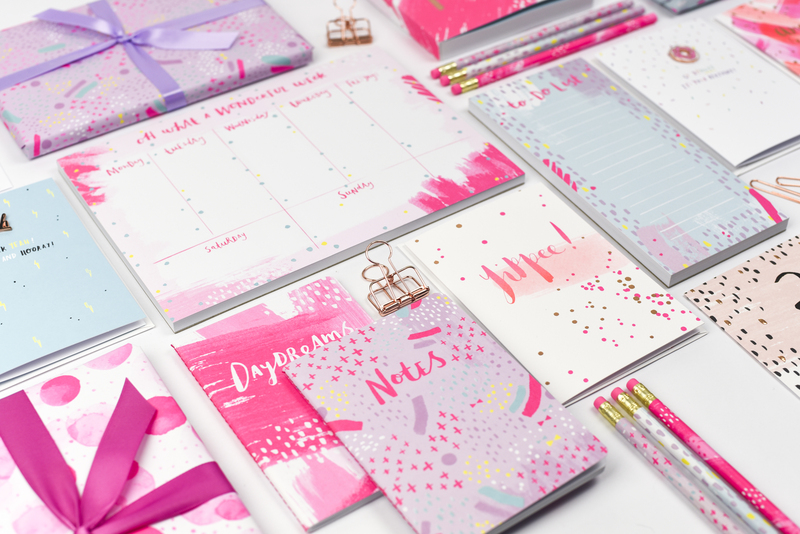 Wow… what a fab year we’ve had and can’t wait to share our shiny new collections with you! We truly LOVE greeting cards and we hope you love what we do too! As always we proudly print and hand assemble all our greeting cards in the UK. We’ve also designed three gorgeous gift dressing collections for 2018, introducing luxury gift bags, tags, tissue paper and roll wrap printed in our signature neon ink. Remember to keep your eyes on our instagram for sneak peeks of our newest products before they’ve launched and snippets of our designers at work!